What do you bring to the table that others don't? 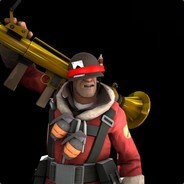 : What mostly stands out about me to others is that, I am a chill and cool person to have if you are bored, and have nobody to talk with or if someone is new to trading in Tf2 and doesn't know how to trade I usually help them out, but when someone is being racist I'll try to tell them to stop or mute them for continuing it. I am also a trustworthy person and knows how to maintain a server. How much time can you dedicate to moderating every week? : Mon-Sun, 4-10 pm EST sometimes I'm not gonna be there because of studies but I'll try my best to always to attend. What is the most important problem on the server to you? : Usually the important problem to me on the server, is with the racism and the people talking all at once. Also people who interrupt adverts. But also people who micspam and then they go onto alt accounts and just micspam again or either just annoy other people while trying to advertise or just they don't care and they want to get IP banned instead. A regular on the server is flaming you or another moderator for muting them for inciting arguments. They spam chat and continue to change their name to bully admins. : I would ask him to stop, before warning him in the chat to stop before he gets gagged, I would also mute/silence him if he is using a mic. I'd try to make sure it didn't come to gagging or muting him but I would if after asking him to stop and explaining the mute reason he continued to act inappropriately/misbehaving. Player A starts a spycrab with Player B. Afterwards, Player A complains Player B ran from said spycrab. : I would investigate this situation by looking for player B, I will also try to recording it for proof so we know who it was in case if we lose him, I will also have their steam profile open My Shift+Tab. If I was not there I would ask any witnesses if they have seen it or if they have any screenshots of it or I would ask player A of what happened, basically a full recap of it. I would proceed to ban them for a few days and report them on backpack.tf and as well as steam and steamrep. A player has generally suspicious aim, but owns several Unusuals that indicate they might not be hacking. : I would go onto a team and check if he has aimbot or not to see if he's really using aimbot. I would also after go on spectator and spectator him for a little bit to see if he really has aimbot or not. Also I will also record on my pc since I have learned, video proof is key, also screenshots which don't do much.